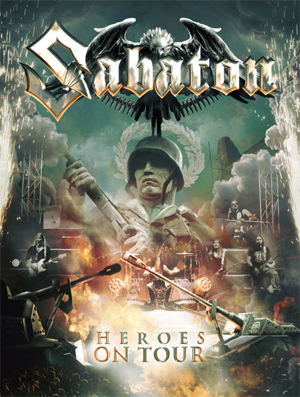 Swedish heavy metal heroes SABATON will release their brand-new live Blu-Ray+CD/DVD+CD package entitled Heroes On Tour, next month. It contains two entire, breathtaking shows, one filmed at Wacken 2015 and the other at Sabaton Open Air in their hometown of Falun in the same year. Bonus features include two switchable viewing angles, live and studio. Today, the band have revealed another appetizer in the form of a new clip. Watch the "Swedish Pagans" live video, filmed at Wacken Open Air 2015, on KNAC.COM right HERE.